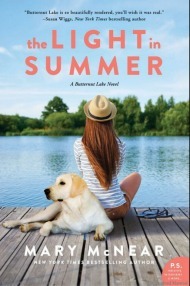 Natalie’s One-Sentence Synopsis: Allie Larkin’s debut novel is a perfect summer read that balances loss with humor, love, and a happy ending. Several years after their first meeting in college, Savannah ‘Van’ Leone and the man of her dreams, Peter, finally make it to the altar, but the wedding is not quite how Van envisioned it. Instead of standing by Peter’s side, Van is relegated to the sidelines as maid of honor, reduced to fluffing her best friend’s wedding gown and covering the bridal bed with rose petals, as her best friend, Janie, marries the man Van has been secretly pining over for years. While Janie and Peter embark on a romantic European honeymoon, Van returns to upstate New York alone, save a bottle of vodka and a Rin-Tin-Tin television marathon to keep her company. In a boozy stupor, Van places an order over the internet for a German shepherd puppy and finds herself comically unprepared for the 100-pound ‘puppy’ that arrives from Slovakia and only understands commands in Slovak. In the ensuing days and weeks, Van and Joe (as she christened the dog) bond, and the dog inadvertently acts as the impetus to a new friendship between Van and Joe’s veterinarian. Van also must resolve some old issues and learn to move forward with her life. None of the changes and resolutions come easily, but Van makes progress and manages to carve out a happy life for herself. 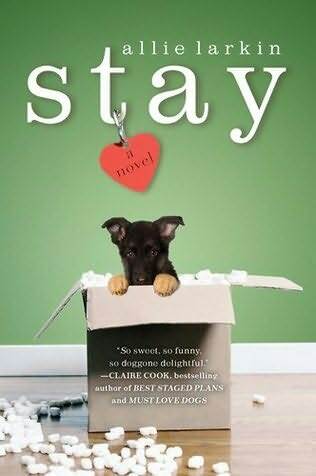 While Stay wouldn’t typically be a book I’d select from the library–I’ve had my fill of the whole ‘human saves animal but animal actually ends up saving the human’s spirit’ books–but the blurb on the back elicited a laugh, so I decided to give it a go. Larkin had me laughing several more times, and I unwittingly found myself googling German shepherd puppies and turning to mush when looking at the photos! Van was a likeable character and the whole Joe situation was so hilarious–the fact that she was expecting a tiny puppy at the airport and then couldn’t fit the ‘puppy’s’ cage into her car! Another classic moment was when Van discovered just how much she paid for Joe–the exchange rate for the Slovak koruna isn’t quite what Van thought it would be. Overall, this was a perfect read for summer–funny and quick with a sweet ending–and I’d recommend it to anyone looking for a chuckle or a feel-good story. i am happy to reply (and i don’t really consider this a spoiler) that THE DOG DOES NOT DIE. thank you, allie larkin. lol. As long as the poor thing doesn’t DIE, then I can handle it. Even if it is light and sweet and wrapped up with a bow at the end. The human spirit needs these types of books once in awhile. 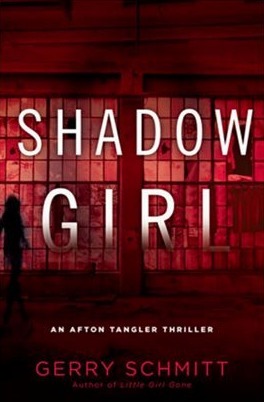 I received this one as a surprise from the publisher, and I was thinking I’d probably ignore it but your review made me reconsider that decision. 🙂 Now I’ll consider picking it up when I’m looking for something more fun and light. I love animal stories, so this sounds like something I would enjoy. I read this last year and really enjoyed it – a fun read! Sounds cute and fun. I don’t read many animal stories, but this one sounds like something I might enjoy. SO glad to hear the dog lives! I couldn’t take another Marley & Me. Sounds like a fun summer beach read. Great summer reading. Sounds funny. You read my mind with a comment above, Nat — glad to hear that the dog is alive and well! (Within the book’s pages, anyway. You know what I mean.) 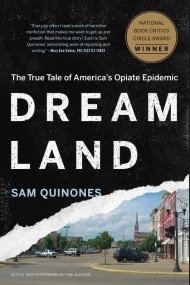 I have a copy of this one waiting patiently to be read — hope to get to it soon! There are a lot of books available with a similar premise but this book sounds like it’s written with some great laugh-out-loud humore. That makes it a book worth reading for me….and the cute dog doesn’y hurt! Just finished reading the book. Loved it. There were some laugh out loud moments that I adored. 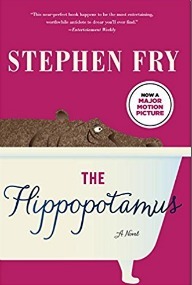 I got the book because of it’s cover (I know you should never judge a book by it’s cover), however the dog on the cover looked exactly like a dog I used to have so I couldn’t resist. And I judged correctly because I thoroughly enjoyed the read. Thank you so much.